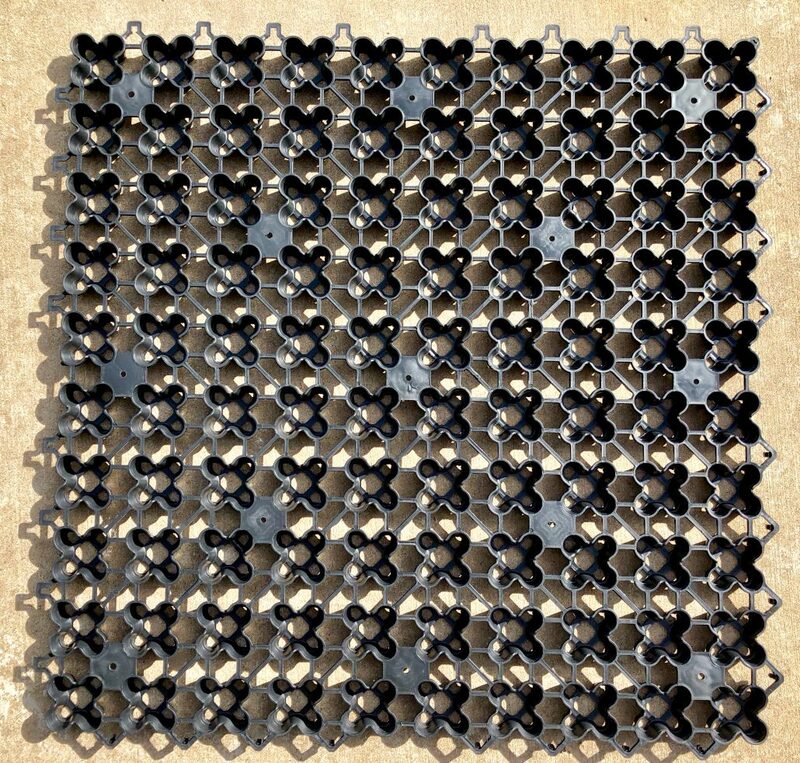 AirDrain is a Geocell drainage grid that creates a 1 inch 92% air void underneath your artificial turf. AirDrain elevates the synthetic turf above the subgrade to allow air to circulate and water to pass through rapidly. It helps keeps the surface temperature at lower levels due to its ability to allow continuous movement of air. AirDrain is made from 100% recycled copolymer, making it able to withstand extreme heat and cold and still maintain its performance. AirDrain separates the artificial grass from the concrete and directs the waste to a predetermined drainage to allow the urine and waste to reduce odors and prevents buildup of possible bacterial. It is a great solution for commercial kennels/pet day care centers and for residences where there is kennels that need to be installed over concrete flooring where it provides the ultimate in odor control and drainage.